How can play tracks I've already beaten? 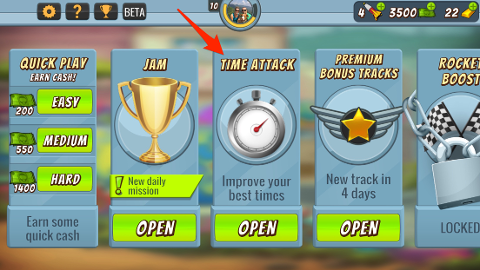 If you want to go back and play Career tracks that you have already beaten, just tap "Open" on the Time Attack card from the main menu. Then you can race on any track that you have unlocked in Career mode. Are there any tips or tricks that will help me go faster? How do I do backflips? I'm having trouble with the controls, can you help me? What do the icons mean at the bottom after a race? What is Quick Play mode? What is Time Attack mode?